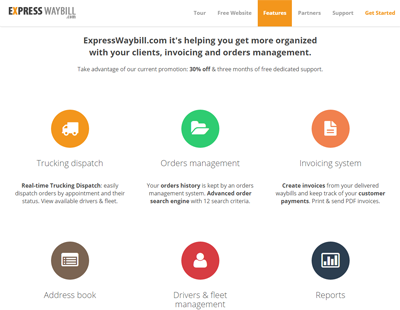 Intermodal dispatch software | Why choose Express Waybill? Nowadays, any intermodal transport company can't survive without a good intermodal software solution. Chose an intermodal solution that is capable of fixing the intermodal problems, such as container tracking and reminders for important intermodal industry-dates (ETA, last day of free storage, detention or demurrage dates). Why it's not working anymore you may ask yourself? Well, that's the plain and simple answer: your intermodal company profit margin per each load is lower than ever so you have to work harder to meet the profit you have made last year. Isn't that true? That means more container transportation to do for the same last year profit. And, that means more paperwork, more time to manage all new orders and clients, drivers and, the need to be more efficient. Here we come, helping you get more organized with your clients, drivers, equipment, orders and invoicing. But remember, any intermodal dispatch software you will use is supposed to help your intermodal business, solve your daily problems and save you money. You'll need a return on your investment as well. First things first. Why do you need an intermodal software? Try to put on paper your needs and compare them with the intermodal software features. Is the software features really meet your needs? Is the software flexible enough to adapt to your intermodal business? Is the software handle the important things related to the intermodal industry? Is the software easy to understand and use or it's offering you a million features that you don't need? One more thing to keep in mind: is the software provider giving you free lifetime updates and is he listen to your suggestions? What to choose? Windows or Web app? Well, it's a matter of taste in the end. All that a web app can do it can be done with Windows based software, and vice-versa. But, you'll have to consider the initial cost aspects, the time needed it to start using it and the maintaining cost of the app. Web apps have some more flexibility and make it easier for you to access your data from anywhere with just a simple secure login. Do you have more than one office? Then the cost of installing / maintaining a Windows software within two or more offices is huge. Why? Windows software need to be installed locally on each user machine and connect each user PC to the main server. The whole network needs surveillance and technicians to fix it when something wrong will happen. There is no cost for you to install a web based app and maintaining a web app have a steady cost. Web-based apps are like your email login. Open a browser from anywhere in the world. Go to the secure SSL website, enter your email and password and you are in. That's it. That's all. No need of technicians to pay or servers to manage. You may lower the cost of your operations! Changing your software or starting using an intermodal software means you have to change your way of doing things and, sometimes, the way you're operating your business. It is just normal to ask yourself if this change will be beneficial for your business, if it is necessary or if your employees will be happy to change their way of working. Will my employees be happy to make the change? To be honest, everybody fears the change because it's a daily routine breaker and brings new things to learn. That's why Express Waybill offer you a turn-key solution. Express Waybill will take into consideration all your needs during the implementation phase. We will ask questions, analyze your workflow, and in some cases, we will go to your location to train your employees. You will work with us to create a phased implementation plan that we both can carry out in a reasonable time frame. The key to successful implementation is the relationship between our staff and the project leaders in your organization. We will work with you to develop a practical implementation plan. During the implementation, you will become familiar with all the software features and know better your support manager throughout this process. We'll always be available to help with the technical challenges. Operations. Do the intermodal software will help me solving my operation problems? 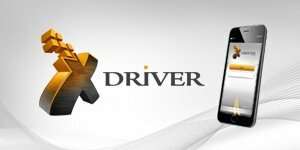 Our mobile app (working on iPhone and Android) connected with the intermodal dispatch software reduce the communication between drivers and dispatchers by 85%. Be more productive. Do you have a lot of paperwork to file? Are you working late evenings to organize your papers and prepare tomorrow’s orders and appointments? Express Waybill keep track of insurance dates, the inspection due dates, drivers' license expiration and gives you warnings on data entry. Avoid to be fined every week for something you've forgot to renew. Have you been asked to file reports for your clients? Example: How many containers have you delivered per month/year? Express Waybill integrate Google Maps and your GPS provider to simplify your life on IFTA reporting. and many more... ask us for a personal demo. Is my data secure and backed-up? Yes, your data is secured with an SSL encryption certificate and it is backed-up on a daily basis. Do I have to pay for backup? Yes, you will have to pay for a backup. The restoration from backup will be free. We recommend: How to operate more efficiently?